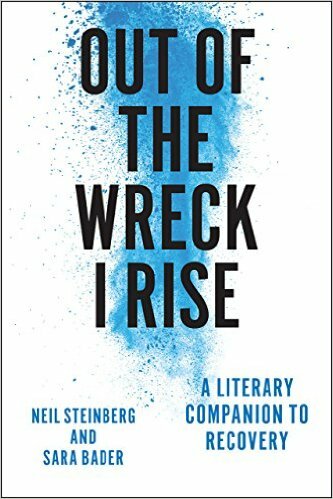 Every goddamn day: 04/21/19: "And so rose up, and went away"
For the past year, I've been busy securing rights to poems, lines from songs, movies, stories, and such, for the book, Out of the Wreck I Rise: A Literary Companion to Recovery that I've written with Sara Bader. It was a a lot of work, but worth it. I learned a lot about poetry, and was sensitized to the challenges of both being creative and respecting copyright law, which I believe is oppressive. A lot of people ignore the copyright laws completely, and the Internet is filled with poems swiped from authors and posted. Particularly the poems of Mary Oliver, one of the nation's most successful and beloved poets. And I'd be loath to join the offenders. But I actually paid for this poem, along with a half dozen others of hers, to be included in our book, and so I thought she might not mind if I posted this one here, as a kind of lagniappe, a little gift, like a baker giving a steady customer an extra cookie. I'm posting it not to further the commercial interests of my blog, such as they are, but because it came to mind when the newspaper offered the staff a buy-out. The poem would bring me comfort, were I leaving the paper, and I thought it might bring comfort to my 15 colleagues who, certainly torn, took the money and rose up and went away. If Mary Oliver objects, I'll happily pay her some more, or take it down—well, not happily, but quickly. I would lop off the last four lines as diluting the proper, powerful ending, "and went away." But I can't; it's her poem, not mine, and she forbids it. Though you can safely skip them, in my estimation (which, now that I think of it, perhaps moves this piece from expropriation to the realm of literary criticism, where I can, it could be argued, reproduce the words I am commenting upon). The poem is called "The House." Caught up within the spells of love. To do all that we hoped to do. Foundations shifting in the dark. And danced upon the sodden floors. And so rose up, and went away. No child can mend or trade away. Beautiful poem. We can all relate. Some of us because of jobs gone. Some for home lost. Because you chose to include it, I now know a poet I didn't know before. A lovely poem. And you paid her for it. Bravo! Puts one in mind of an old joke about a chap in an alternate universe sacrificing the promise of a profitable future in lyric poetry for a career in accountancy. Agree with you about the concluding lines: going away doesn't have to mean dying. But didn't you mean "three" rather than "four?" Apropos, indeed. Fine choice. Methinks you've been hearing the "foundations shifting" for quite a while, though. It must be quite a dilemma for each individual in deciding whether there might be a better street for her or him in the new neighborhood the house finds itself in. I don't know if I agree with you about the last lines. Ending with "and went away" makes the rest of the poem rather banal in my view, whereas going on raises new issues that need to be explicated and calls into question what exactly is falling apart. Watch out Tate, you might give yourself a headache, over analyzing. No one is impressed. Meow. Shouldn't you be back at the Tribune website?